It houses the Historic Old Salt Museum, as well as a Tourist Information Desk in one of the shops facing the street. Between 1896 and 1905, the Nabulsi architect Abdel Rahman al Aqrouq built the finest and most refined house in As-Salt for the Abu Jaber family. 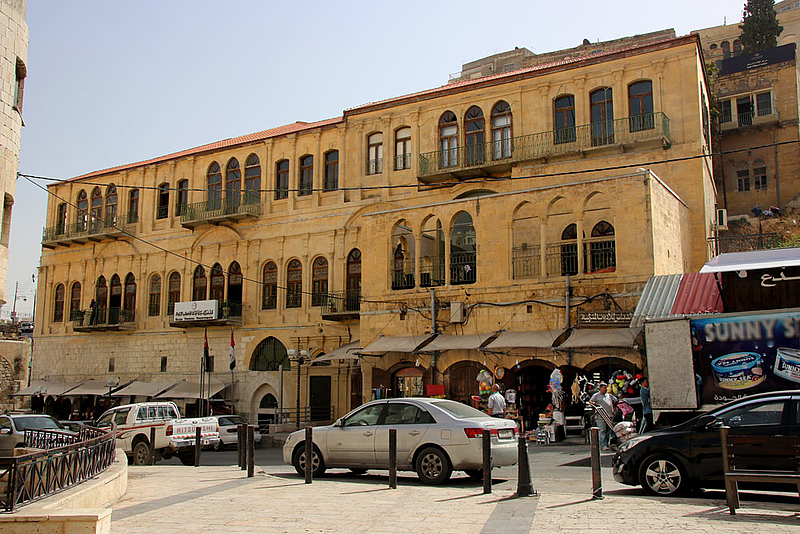 Situated prominently on the main square (Sahet al Ain), the Abu Jaber House dwarfed all other buildings in town - including the Ottoman Government Saraya - and remains one of the most significant architectural icons in Jordan today. Saleh al Nasser abu Jaber bought the plot of land, on which the house was built, in 1887, and started building the ground floor. The first floor was added in 1896 and so the ground floor was used for storage and for guests. The second floor was added in 1905, hence, the first floor was used for guests and the ground floor was used as a khan and stable for the horses. The house was visited by very important personalities such as the late King Abdallah I of Jordan in 1922 and Prince Shakeeb Arsalan of Lebanon.